Growing up in Alameda, California, Willis rooted for the Oakland Athletics as a child. His mother, Joyce, played softball as a catcher for her high school team. Willis' favorite player was former Oakland Athletics' pitcher Dave Stewart. Willis attended Encinal High School in Alameda, where he played baseball for four years. He is the son of Clinton Ostah, a former minor league player in the 1970s. In Willis' senior year, he had a 12–1 win–loss record and a 0.83 earned run average (ERA) in 70 innings pitched. Scouts never doubted his talents, but rather his unusual pitching mechanics. One scout even called him a "Poor man's CC Sabathia." He was drafted by the Chicago Cubs in the 8th round of the 2000 Major League Baseball Draft. In 2001, Willis was bumped up to the Boise Hawks of the Northwest League. He finished with 8 wins and a 2.98 ERA. Opposing hitters only batted .217 against Willis. In a Baseball America poll, several NWL managers called Willis Boise's best player. 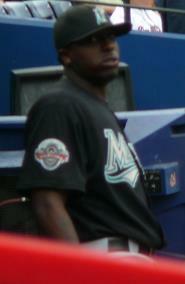 Willis with the Florida Marlins in 2007. On March 27, 2002, the Cubs traded Willis (then a minor leaguer), fellow pitchers Florida Marlins, in exchange for pitchers Matt Clement and Antonio Alfonseca. After being traded, Willis struggled early on. However, Willis started to get better as he got to low Class A ball. By the end of the season, he went 10-2 and finished the season with the Class-A Jupiter Hammerheads. In five starts, he went 2-0 with a 1.83 ERA, leading the Midwest League in ERA. For his performance, he was named the Marlins' Minor League Pitcher of the Year. In the 2003 Spring Training, Willis reported to Jupiter. The plan was to start him with the Class-AA Carolina Mudcats. The hope was that he would make the leap to AAA, and potentially be available for a spot start in Florida or a back-of-the-bullpen job late in the season. The Marlins then sent Willis down to Carolina to work on consistency and control. Willis would dominate at Carolina; he went 4–0 with a 1.49 ERA. On May 9, 2003, Willis made his Major League debut for the Florida Marlins. Against the Rockies, he pitched six innings, allowed seven hits and three earned runs, and got a no decision. On May 14, in a start against the Padres, Willis went five innings, allowed five hits, three earned runs, and four walks, and received his first Major League win. On June 16, Willis pitched nine innings and allowed no runs in a 1-0 victory over the Mets in his first career shutout. Willis' opponent in that game was Tom Glavine, one of his childhood heroes. Willis was named Rookie of the Month for the month of June and became the first Marlins pitcher to be named Pitcher of the Month. He became the first rookie pitcher to win Pitcher of the Month since Hideo Nomo did it in 1995 for the Los Angeles Dodgers and he became the first rookie pitcher to win seven straight starts since Jason Isringhausen, also in 1995. In 5 starts, Willis went 5–0 with a 1.04 ERA. Heading into the All-Star Break in mid-July, Willis was 9–1 with a 2.08 ERA in 13 starts. He made the National League All-Star team as injury replacement for Los Angeles Dodgers pitcher Kevin Brown. He became the second Marlins rookie player to make the All-Star team; Alex Gonzalez did it in 1999. On July 30, Willis faced another one of his childhood heroes, Randy Johnson of the Diamondbacks, in a head-to-head pitching duel. Willis went seven innings and allowed only one earned run. After coming out of the bullpen in game 1 of the 2003 National League Division Series against the Giants, Willis started game 4 of the series. In 5.1 innings pitched, Willis allowed 5 hits, 2 base on balls, struck out 3 batters but allowed 5 earned runs. Despite struggling with his pitching, Willis showcased his remarkable (for a pitcher) hitting ability by going 3-for-3 with a triple and scoring a run during that game, which the Marlins won 7–6 to advance to the NL Championship Series against the Cubs, the team that drafted Willis. In game 4, Willis again struggled with his command. In just 2.1 innings pitched, he allowed 3 hits and allowed 5 base on balls and took the loss. His only other appearance in the series was in game 6, when he allowed a run in one inning of relief. Despite his limited contributions, the Marlins went on to defeat the Cubs in 7 games. The Marlins then defeated the New York Yankees in the 2003 World Series. After the 2003 season, Willis was named the National League Rookie of the Year. He went 14–6 with a 3.30 earned run average in 27 starts for the year. In 2004, Willis started the year 3-0, and did not allow an earned run in his first three starts. He also showed great hitting skills for a pitcher. In his first two starts, Willis went 6-for-6 with a home run. His seven consecutive hits in the regular season was 1 short of the club record held by Gary Sheffield and Preston Wilson. In his next start against the Phillies, Willis struck out in his first at bat, snapping his streak of 10 consecutive hits dating back to previous year's postseason. He finished the 2004 season with a record of 10–11 and an earned run average of 4.02. In 2005, Willis became one of the best pitchers in baseball. He started the 2005 season by pitching two shutouts against the Washington Nationals and the Philadelphia Phillies. During the month of April, Willis went 5–0 in 5 starts and allowed five earned runs in 35 innings pitched for a 1.29 ERA. He was named NL Pitcher of the Month. On May 6, Willis became the league's first six-game winner when he went seven innings and allowed no runs against the Rockies. "I felt strong," Willis said. "I was able to stay down in the zone. That's my key, because I don't throw 100 mph. I can't live up in the zone. In all my starts I've been trying to stay down, and hopefully they swing at it." On June 8, Willis became the major league's first 10-game winner when he pitched the Marlins to a 5-4 victory over the Seattle Mariners, allowing 4 runs. Willis became only the third pitcher in Marlins history to record 10 wins before the All-Star break. On June 23, Willis became the NL's first 12-game winner when he pitched a shutout against the Braves. "He's tough," Braves manager Bobby Cox said. "He deserves to start the All-Star game, to be honest with you. He's the dominant pitcher in the National League right now." Going into the All-Star break, Willis was 13-4 with a 2.39 earned run average and a 1.14 WHIP. Willis was named to the All-Star team but did not pitch in the game. Willis kept pace with his great first half after the All-Star break. He went 9–6 and posted a 2.91 earned run average and a 1.13 WHIP the rest of the season. During his last start before the All-Star break, Willis struggled against the Cubs. In 4.1 innings, he allowed 8 runs, all earned. He struggled in each of his first two starts after the break, failing to make it past the sixth inning in games against the Philadelphia Phillies and San Francisco Giants. However, he would get back on track. Willis matched his highest win total on July 28 against the Pirates when he went 7 innings, allowed 3 hits, no earned runs, and picked up his 14th victory of the season, which tied his career high for most wins in a season. Willis won his career-high 15th victory on August 7 against the Reds. He went 8 innings, allowed 4 hits, and no earned runs. On August 17, Willis held the Padres scoreless by shutting the Padres out in 9 innings, earning him his 16th win of the season, second most in baseball. "He's as good as anybody," San Diego manager Bruce Bochy said. "We aren't the first team he has shut out this year." The win put Florida one-and-a-half games behind Houston and Philadelphia in the wild card standings. Willis won his 19th game of the season against the Mets on September 2, breaking Carl Pavano's franchise record for most wins in a season. Pavano held the Marlins' mark for most victories in a season by a Marlins' pitcher for a year. On September 7 against the Washington Nationals, Willis pitched 6 innings and allowed 1 earned run, which gave him his 20th win of the season. He became the first African-American pitcher to win 20 games in a season since Dave Stewart did it in 1990, and in the process, he became the first pitcher to win 20 games and have 20 hits as a batter since Mike Hampton did it in 1999 for the Astros. On September 22, Willis became the first pitcher to bat seventh or higher since Montreal's Steve Renko batted seventh on August 26, 1973. Willis went 1-for-4 against the New York Mets. He would go on to post a 22-10 record with a 2.63 earned run average and 1.13 WHIP. His 22 wins was the most in baseball. He also pitched 7 complete games and 5 shutouts, also the most in baseball. Willis is still the only pitcher in Marlins history to win 20 games in a season. Willis would go on to finish 2nd in the N.L. Cy Young Award voting behind Chris Carpenter of the St. Louis Cardinals. He did, however, win the Warren Spahn Award, given to the best left-handed pitcher in each league. In the 2006 season, Willis' numbers were down from his great 2005 season. Willis started the season by going 1–6 with a 4.93 ERA and didn't get his second victory of the season until June 2. He still posted decent numbers for the year and went 12–12 with a 3.87 ERA. His 12 wins were tied for the most on the Marlins. Willis also led the Marlins in complete games, innings pitched, base on balls, and hit by pitch. On June 20, Willis earned his 50th career win in a start against the Baltimore Orioles. At age 24, 159 days old, Willis became the fourth youngest pitcher to achieve this milestone. Only C.C Sabathia, Greg Maddux, and Mark Buehrle accomplished this at a younger age. On July 7, Willis hit a grand slam off of Mets pitcher Jose Lima. Willis became the first pitcher to hit a grand slam since Robert Person did it in 2002. It was his fourth career home run. On September 20, 2006 he hit 2 home runs, off of Óliver Pérez and Roberto Hernández. He became the first pitcher since Randy Wolf to hit 2 home runs in a game. On January 15, 2007, Willis signed a one-year contract with the Marlins for $6.45 million, avoiding salary arbitration. In the 2007 season, Willis went 10–15 with a 5.17 ERA and a 1.60 WHIP. Up to that point, it was his worst season of his career. Willis led the National League in earned runs allowed with 118. During his career with the Marlins, Willis went 68-54 with a 3.78 earned run average. He won at least 10 games each season during all five of his years with the Marlins from 2003–2007. Willis throwing for the Tigers in 2009. On December 5, 2007, the Marlins traded Willis along with fellow All-Star Miguel Cabrera to the Detroit Tigers for Andrew Miller, Cameron Maybin, Mike Rabelo, Eulogio de la Cruz, Dallas Trahern and Burke Badenhop. Tigers General Manager Dave Dombrowski then signed Willis to a 3-year, $29 million contract extension two weeks later. 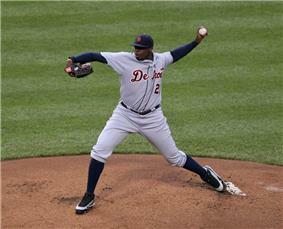 In his debut with the Tigers, Willis went 5 innings, gave up 1 hit, and 3 earned runs against the Chicago White Sox. In his next start, also against the White Sox, Willis injured his left knee and departed the game before even recording an out. Placed on the disabled list the next day, Willis had walked nine batters while striking out none in his first two outings. Command of his pitches became a trouble spot, and later in the season, Tiger manager Jim Leyland pitched him in relief for the first time, with little success. He was placed back into the rotation on June 3, 2008 to start in a loss against the Oakland Athletics. On June 10, 2008, Willis was sent down to Single-A Lakeland, a day after a start in which he gave up eight earned runs and five base on balls in 1⅓ innings pitched against the Cleveland Indians. Though Willis had enough service time in the Major Leagues to require his consent prior to the send-down, he agreed, saying he needed to work on his control. Willis was called back to the Tigers in time for the roster expansion on September 1, 2008. He made three starts, recording a loss and two no-decisions. Willis finished with a 0–2 record and a 9.17 ERA. In 24 innings pitched, Willis struggled with his control and walked 35 batters. Willis was placed on the 15-day disabled list in March 2009 for an anxiety disorder after a blood test showed something of concern; he began a treatment regimen aimed at addressing the condition. Willis was taken off the disabled list and placed on the active roster May 13, 2009, when he made his first start of the 2009 season. Willis made seven starts after returning, with poor results, before being returned to the disabled list on June 19 with the same anxiety issue. In Willis' last start of the season, he was tagged with 6 earned runs allowed and 8 bases on balls. Willis finished the season with a 1–4 record and a 7.49 ERA. In Spring Training 2010, Willis made the Tigers starting rotation. On April 8, 2010, Willis started against the Kansas City Royals, giving the Tigers six innings and recording a no-decision. He gave up two earned runs, walking two and striking out four. On May 30, 2010, Willis was designated for assignment by the Tigers. In his career with the Tigers, Willis played in 24 games (22 starts). His record was 2–8 and had an earned run average of 6.86 in 101 innings pitched. On June 1, 2010, Willis was traded to the Arizona Diamondbacks for starting pitcher Billy Buckner. He changed back to his former uniform number 35, which he wore for the Marlins. In his Diamondback debut, he pitched six scoreless innings with four walks and three strikeouts. He got his first win as a member of the Diamondbacks. Willis pitched four innings, giving up two runs and three hits, walking six batters on June 10. During the second inning, he cracked a finger nail and after the fourth inning, he was removed from the game due to the pain on the fingernail. On July 4, 2010 Willis was designated for assignment and subsequently released. In 6 games (5 starts) with the Diamondbacks, Willis went 1–1 with a 6.85 ERA in 24⅓ innings pitched. On July 15, 2010, Willis was signed to a minor league contract by San Francisco and began pitching for the Fresno Grizzlies of the Pacific Coast League. On November 6, 2010, Willis was granted free agency. Willis with the Cincinnati Reds. 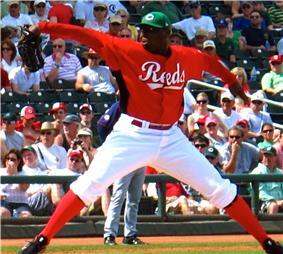 Willis signed a minor league contract with the Cincinnati Reds for the 2011 season. He was invited to spring training, for a chance at starter or bullpen. Willis was reassigned to the Louisville Bats as of March 27, 2011. Willis was called up on July 10 and made his Reds debut against Milwaukee at Miller Park. Willis pitched six innings, giving up two runs while striking out four and walking four. He also contributed on offense, going 1-for-2 with a double. Willis made his second start for Cincinnati on July 18, 2011, at PNC Park against the Pittsburgh Pirates. On August 3, Willis started, going six innings and hitting a solo home run but was charged with a no-decision. On August 9, Willis went 8 innings, struck out 10 batters, and allowed 3 earned runs against the Rockies but was charged with the loss. His 10 strikeouts was the most he had got in a start since he struck out 11 against the Diamondbacks on August 14, 2007. His 8 innings pitched was the most innings he pitched since his last start with the Florida Marlins, where he pitched 8 innings against the Cubs on September 25, 2007. On August 14, Willis went 2.2 innings and allowed 4 earned runs against the San Diego Padres. Prior to the start, Willis said that his forearm was still a little tight after he had warmed up in the bullpen earlier. On December 13, 2011, Willis agreed to a 1-year deal worth $1 million with the Philadelphia Phillies. He was expected to pitch out of the bullpen. He was released on March 16, 2012, after just three Grapefruit League appearances. ^ "Cubs trade for reliever Alfonseca". Philadelphia Inquirer. March 28, 2002. Retrieved January 22, 2015. ^ "Colorado Rockies vs. Florida Marlins - Box Score - May 9, 2003". ^ "Pudge's HR all the support stingy Willis needs". ^ "Willis wins Pitcher, Rookie of Month". ^ "Dontrelle Willis Stats, Splits". ^ "Dontrelle Willis Stats, Splits - ESPN". ^ "Dontrelle-mania to hit All-Star game Willis named to All-Star game to replace Brown". ^ "Spivey's errant throw helps Willis win 10th". ^ "San Francisco Giants vs. Florida Marlins - Box Score - October 4, 2003". ^ "Chicago Cubs vs. Florida Marlins - Box Score - October 11, 2003". ^ "Baseball Awards Voting for 2003". Retrieved 2010-07-24. ^ "Willis 3-for-3 with HR; Cabrera homers again". ^ "Willis strikes out in first at-bat". ^ "Dontrelle Willis Game By Game Stats and Performance publisher=ESPN Internet Ventures". ^ "Colorado matches third-longest losing skid in team history". ^ "Delgado drives in all five runs as Marlins snap skid". ^ "Willis is NL's first 12-game winner". ^ a b "Dontrelle Willis Stats, Splits = ESPN". ^ "Chicago Cubs vs. Florida Marlins - Box Score - July 8, 2005". ^ "Dontrelle Willis Game By Game Stats and Performance". ^ "Willis fans seven, allows three hits". ^ "Willis leads majors in shutouts with five". ^ "Willis breaks Marlins record for wins in season". ^ "D-Train chugs to 20th win as Marlins rout Nationals". ^ "Willis gets major league-leading 22nd win=ESPN Internet Ventures". ^ a b "Dontrelle Willis Statistics and History". ^ "D-Train's near-CG powers Marlins to ninth straight win". ^ "Marlins ride D-Train grand slam, pitching past Mets =ESPN Internet Ventures". ^ "Do-it-all Dontrelle: Marlins P cools Mets, hits two HRs". ^ "Dontrelle Willis: first pitcher since 2004 to hit two home runs in a game". Smoaky.com (cheaptrick77). Associated Press. June 9, 2013. Retrieved June 9, 2013. ^ "Dontrelle Willis Statistics and History". ^ "Yearly League Leaders and Records for Earned Runs". ^ "White Sox touch up Willis, drop new-look Tigers to 0-5". ^ "Cabrera drives in four runs as Tigers topple Royals". ^ Gilbert, Steve (June 1, 2010). "D-backs get Willis from Tigers for Buckner". MLB.com. Retrieved June 1, 2010. ^ "D-backs designate Willis". espn.com. Associated Press. July 4, 2010. Retrieved July 6, 2010. ^ "Morton shines as Pirates beat Reds 2-0 publisher=Will Graves". ^ Gelb, Matt (December 13, 2011). "Phillies sign Dontrelle Willis to 1-year deal". Philadelphia Inquirer. Retrieved January 22, 2015. ^ "Orioles sign LHP Dontrelle Willis to minor league contract," Baltimore Orioles press release, Wednesday, March 21, 2012. ^ Seidel, Jeff. "Willis files grievance," MLB.com, Wednesday, April 25, 2012. ^ Ghiroli, Brittany. "Orioles announce D-Train has retired," MLB.com, Monday, July 2, 2012. ^ Rosecrans, C. Trent (January 4, 2013). "Cubs sign Dontrelle Willis to minor-league deal". CBS Sports. Retrieved January 22, 2015. ^ Ortiz, Jorge L. (February 25, 2013). "Dontrelle Willis' comeback with Cubs lasts seven pitches". USA Today. Retrieved January 22, 2015. ^ Short, D.J. (March 30, 2013). "Cubs release Dontrelle Willis and former first-round pick Hayden Simpson". NBC Sports. Retrieved January 21, 2015. ^ "DONTRELLE WILLIS JOINS LONG ISLAND". LIducks.com. April 5, 2013. ^ Musarra, Casey (August 4, 2013). "Ducks' Dontrelle Willis signed by Angels". Newsday. Retrieved January 22, 2015. ^ Haft, Chris (January 10, 2014). "Willis gets Minor League deal from Giants". MLB.com. Retrieved January 22, 2015. ^ Malafronte, Chip (July 8, 2014). "A passion for baseball still drives Dontrelle Willis". New Haven Register. Retrieved January 22, 2015. ^ Clark, David (July 6, 2014). "Ex-Red Dontrelle Willis signs with Bridgeport Bluefish". Cincinnati Enquirer. Retrieved January 22, 2015. ^ "Dontrelle Willis to Make Bluefish Debut July 18". Atlantic League of Professional Baseball Clubs. July 18, 2014. Retrieved January 22, 2015. ^ Gleeman, Aaron (July 17, 2014). "Dontrelle Willis is playing for the Bridgeport Bluefish now". NBC Sports. Retrieved January 22, 2015. ^ Nowak, Joey (January 21, 2015). "Willis reportedly agrees to deal with Brewers". MLB.com. Retrieved January 21, 2015. ^ "Brewers sign lefty Dontrelle Willis to minor league deal". ESPN.com. Associated Press. January 21, 2015. Retrieved January 22, 2015. ^ Rodriguez, Juan C. (March 13, 2015). "Former Marlins sensation Dontrelle Willis announces retirement". Miami Sun-Sentinel. Retrieved March 13, 2015. ^ "ESPN - Carpenter wins National League Cy Young Award - MLB". sports.espn.go.com. Retrieved 2008-06-10. ^ "The Official Site of The Florida Marlins: News: Notes: Willis elevated in order again". florida.marlins.mlb.com. Retrieved 2008-06-10. ^ "The Official Site of The Florida Marlins: News: Willis garners 2005 Spahn Award". florida.marlins.mlb.com. Retrieved 2008-06-10. ^ a b Rodriguez, Juan C. (December 23, 2006). "Willis Charged With Dui". ^ "Baseball: Pitcher pleads guilty to reckless driving". In the early hours of December 2006, Willis was arrested and charged with driving under the influence after he double parked his Bentley in Miami Beach in order to urinate in the street. In April 2008, Willis pleaded guilty to the lesser charge of reckless driving and was ordered to pay $761 in fines and fees, perform 50 hours of community service and serve six months of probation. Willis married Natalee Vitagliano on December 6, 2006. The couple has two daughters, Adrianna Rose (born 2007) and Bianca (born 2008). On September 3, 2005, beat the New York Mets to earn his 19th win of the season. With that win, Willis passed Carl Pavano's franchise record for wins in a season, established the previous year, when Pavano won 18 games. On September 8, 2005, became the first Marlin ever to win 20 games in a season with a 12–1 victory over the Washington Nationals. He became just the 12th African American pitcher to win 20 games in a season, joining the "Black Aces" club. He was also the first African American pitcher to win 20 games since Dave Stewart won 22 in 1990. In 2005, became the third player in modern baseball history to win 20 games and collect 20 hits in the same season. On September 22, 2005, batted seventh in the Marlins' lineup. No other pitcher had batted seventh since the Montreal Expos' Steve Renko did against the San Diego Padres on August 26, 1973. Named a starter for Team USA in the inaugural World Baseball Classic. However, both of Willis' starts in the WBC were considered subpar as the USA exited the tournament in the 2nd-group stage. First pitcher to hit a grand slam since Robert Person in 2002 when he hit one off José Lima of the New York Mets on July 7, 2006. Hit two home runs in one game against Mets' pitchers Óliver Pérez and Roberto Hernández on September 20, 2006. On January 21, 2015, Willis signed a minor league contract with the Milwaukee Brewers. However, on March 13, 2015, he announced his retirement. On July 5, 2014, the Bridgeport Bluefish of the Atlantic League, reported they had agreed to verbal contract terms with Willis. He made his first start with the Bluefish on July 18, 2014. Willis signed a minor league deal with the San Francisco Giants in January 2014 and was later released in April 2014. On August 4, 2013, the Angels signed Willis to a minor-league contract and assigned him to their AAA affiliate, the Salt Lake Bees. On April 5, 2013, Willis signed a contract with the Long Island Ducks of the Atlantic League. He compiled the best earned run average in the Atlantic League, posting a 2.56 ERA through 14 starts. Willis pitched to a 5-4 record and struck out 52 batters in 87 and two-thirds innings. By August 3, he was tied for second in the league in complete games with three. His efforts earned him an Atlantic League All-Star selection, and he was chosen as the starting pitcher for the Liberty Division, tossing a perfect inning. On January 4, 2013, Willis signed a minor league contract with the Chicago Cubs. He left his first game in spring training after 7 pitches, and came out of the game with a shoulder injury. The Cubs released Willis in March 2013.